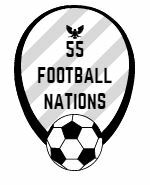 The 55 Football Nations are ranked by UEFA based on their clubs’ performance in European competitions. Only two of the top 20 leagues are on my summer schedule. I’m saving the best and very worst for 2018!